Missouri Gov. 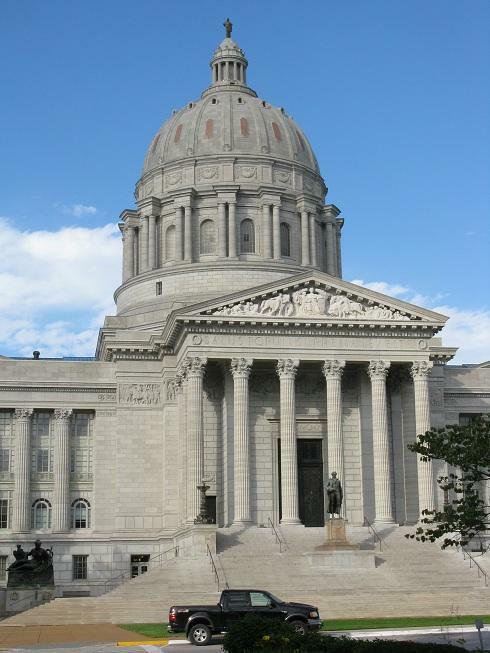 Jay Nixon signed several bills passed during the 2014 regular session into law Friday. First, Nixon signed House Bill 1372, which fixes a legal issue with Missouri's ban on protests at funerals. This article first appeared in the St. Louis Beacon:Missouri can keep protesters 300 feet away from around a funeral without violating free speech rights, a federal appeals court in St. Louis ruled on Friday. The Missouri law had been challenged by the Westboro Baptist Church, which has held hundreds of anti-gay protests around the country in recent years. A federal appeals court has ruled that with some changes, a version of a Missouri law restricting protests near funerals does not violate a Kansas-based group's right to free speech. Another Missouri town has adopted an ordinance placing limits on funeral protests. The St. Louis Post-Dispatch reports that aldermen in Ballwin on Monday approved a law prohibiting picketing or engaging in other protest activities within 300 feet of a funeral or burial service. Manchester, Clayton and several other cities have adopted similar ordinances in recent months. The laws are in response to groups like Westboro Baptist Church of Topeka, Kan., which often protests at the funerals of soldiers. A federal appeals court has ruled that efforts by the city of Manchester to limit protests by the Westboro Baptist Church is constitutional, despite the fact that it limits free speech. The ordinance, which has been amended several times, was first adopted in 2007. The final version limits picketing or other protest activities within 300 feet of the site of any funeral or burial service within an hour before or an hour after the ceremony. There are no restrictions on picketing during processions. This article first appeared in the St. Louis Beacon, Feb. 6, 2012 - By the time a handful of demonstrators from Westboro Baptist Church showed up at Clayton High School Monday morning, they almost went unnoticed by the several hundred people who had shown up for what turned out to be a combination counter-demonstration and pep rally. This article first appeared in the St. Louis Beacon, Feb. 1, 2012 - Students at Clayton High School are trying to turn planned picketing by anti-gay protesters into a fund-raising opportunity. Since word spread earlier this week that representatives of the Westboro Baptist Church planned to picket at the high school Monday morning, on their way back from picketing at the Super Bowl in Indianapolis, the school's Gay-Straight Alliance has been working to come up with what Principal Louise Losos called for: a "positive, peaceful and appropriate response." 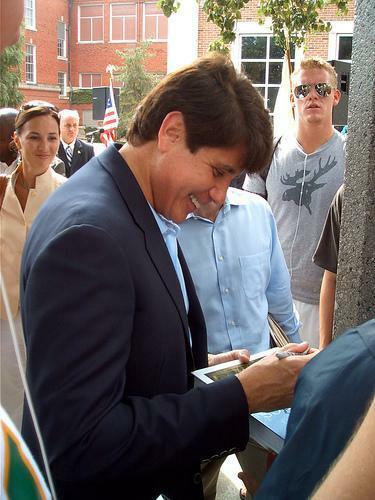 Rod Blagojevich has just over two months of freedom before he's scheduled to begin a 14-year prison term. But the ex-governor and his lawyers plan to keep fighting. After Judge James Zagel handed down the sentence, and the public was ushered out of the courtroom, more than an hour passed before the ex-governor, his wife and his lawyers appeared in the lobby of the court building. Can free speech ever be too free? This article first appeared in the St. Louis Beacon, Nov. 14, 2011 - NEW YORK - Anthony Lewis is a friend of the First Amendment. But the former New York Times Supreme Court reporter said last week that the court had gone too far in recognizing the free speech of hateful funeral protesters and corporations that spend big money on politics. A federal appeals court has ruled against a Missouri town's funeral protest ordinance, saying peaceful picketing is protected by the right to free speech under the First Amendment. The 8th U.S. Circuit Court of Appeals on Wednesday upheld a district court ruling in favor of members of Westboro Baptist Church of Topeka, Kan. According to the St. Louis Post-Dispatch, St. Charles and St. Charles County leaders say they will push ahead in the fight against anti-gay protests at military funerals. That's a despite a U.S. Supreme Court ruling Wednesday in favor of such demonstrators. In an 8-to-1 ruling, the high court said Kansas-based Westboro Baptist Church doesn't have to pay damages to the family of a Marine from Maryland. This article first appeared in the St. Louis Beacon: October 31, 2008 - Missouri Attorney General Jay Nixon and Gov. Matt Blunt had asked the court to allow enforcement of the 2006 law that makes it a crime to picket or protest "in front of or about" a funeral from an hour before it starts to an hour after it concludes. The law was passed in response to the military funeral protests of the Westboro Baptist Church of Topeka. The church believes that God kills American soldiers as punishment for the "don't ask, don't tell" policy permitting gays in the military.